Anyone Torontonian who's attended a film festival or arts event over the past decade has likely seen the green Steam Whistle logo. 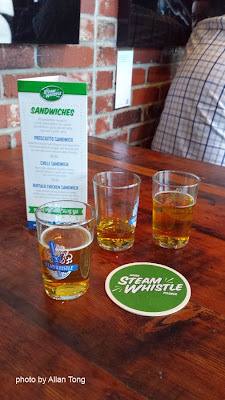 The reason is that Steam Whistle has sponsored countless such events. This past weekend, Steam Whistle celebrated its own event, namely its15th anniversary, at its brewery nestled in the historic Roundhouse behind the SkyDome. 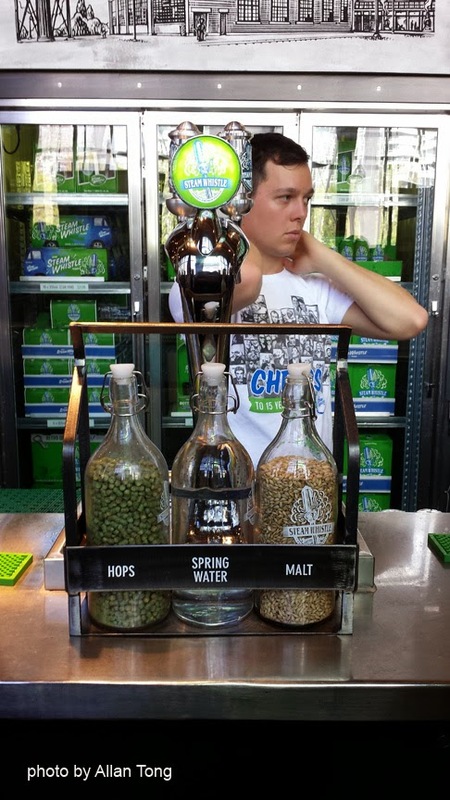 On Friday afternoon, Steam Whistle offered free tours of its facilities and poured samples of its golden beer. 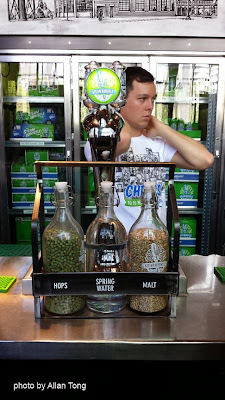 It was an afternoon of live bands and a sun-soaked patio filled with Blue Jays fans enjoying some suds before the Mariners game, perfectly timed for a sunny spring day. 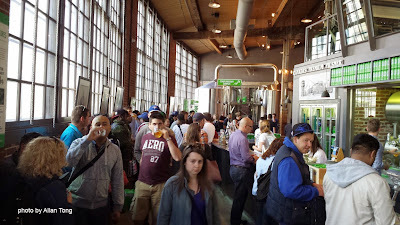 Tours and events continued over the weekend. 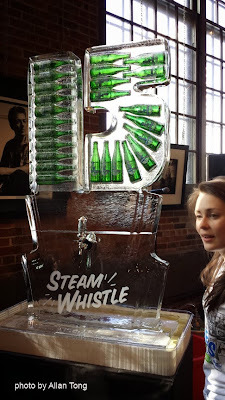 We say thanks to Steam Whistle for supporting local film over the years.